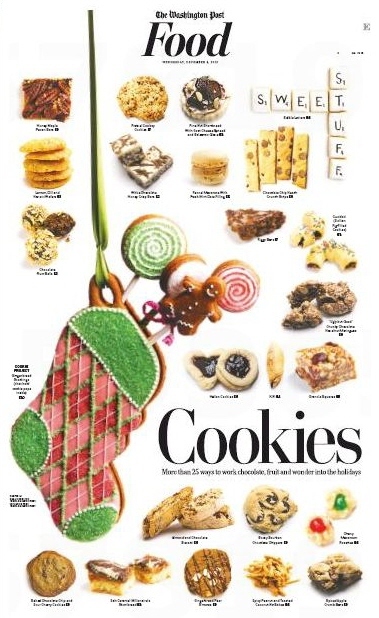 An adaptation of Metropolitan Bakery‘s Salted Chocolate Chip and Sour Cherry Cookie recipe that appears in the book was one of 25 recipes featured in the Washington Post Food pages’ annual holiday cookie issue this week. That section also contains a story (supplemented online by this video) by Post columnist Stephanie Witt Sedgwick suggesting ways to make your chocolate chip cookies stand out on a holiday buffet table. 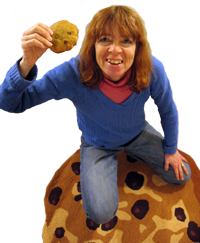 Since she likes the basic Nestle Toll House recipe, her ideas mostly focused on varying the size of both the cookies and the chocolate chips you use. 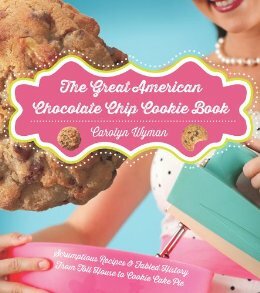 My wide-ranging chat with Hadas Kuznits about the book and the chocolate chip cookie’s invention aired on Philadelphia news radio KYW-AM’s “What’s Cooking” show this weekend.